#6 – Sick and Tired of Training :) – Sounds Great, Let's Do It! This past weekend I woke up on Sunday at 5:30am to get a good hike in. Argh, I’m so ready to be DONE with the training. I’m super excited about the trip but just very ready for it to be here. On Sunday’s hike, it ended up pouring down rain for 9 of the 10 miles. I learned that my rain jacket isn’t really waterproof so I’ve ordered a new one. I’m a bit stiff from exercising Saturday, Sunday and Monday. I’m going to focus on stretching and have scheduled a few massage appointments. This upcoming weekend is the last big hike before the BIG hike. Trail head elevation starts at 11,280. Will gain 3,600 feet overall. 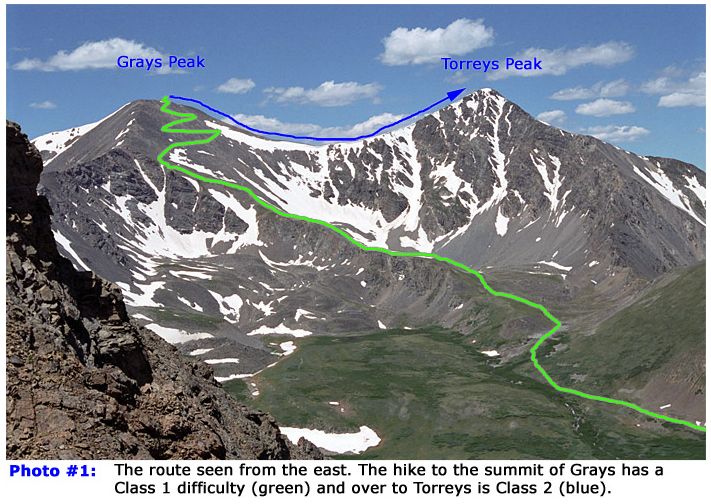 The round trip length of the combo summit hike is 8.5 miles. I plan to take high altitude medicine for this trek just to be safe. After this trip I’ll do a bit of cardio over the following 2 weeks & throw in a bunch of walking lunges, squats, and planks for good measure. That should do it — I hope so anyway! I’m so proud of you! Hang in there! You are doing so great! Sounds great! Let’s do it!